What Factors Affect IT Customer Satisfaction? The quality of customer service affects customer satisfaction. Information technology (IT) businesses make use of computers and networks to provide products and/or services to consumers. Although there is rarely any face-to-face interaction, IT customer satisfaction is vital to the success and growth of such a business. Four of the primary factors that affect IT customer satisfaction include the quality of products or services, the customer service, the company's overall etiquette and its complaint management. One of the biggest factors in IT customer satisfaction is simply the overall level of quality. Whether dealing with an online product or a service, it's necessary to maintain a high level of quality. If this is lacking, it's only natural that customers will be dissatisfied. For example, if an Internet service provider consistently experiences connection problems or slow speeds, then this will be seen as low quality by customers. In this case, IT customer satisfaction is likely to be low. If a business wants to be around for any significant period of time, it's vital to take appropriate measures to guarantee the best possible quality. 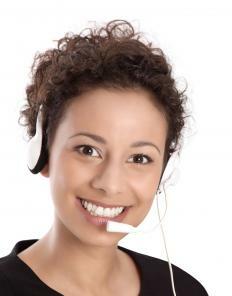 Adequate customer service is also an essential component of IT customer satisfaction. Although the majority of customer service for IT businesses is handled electronically, it's still important to go the extra mile. In order to create a positive rapport, it's necessary to listen to the needs and desires of customers. In addition to listening to and interacting with customers, providing fast and friendly responses to their input is also important. Customer service representatives should also try to add a human element, treating customers as individuals. An example could be a computer tech support company that offers prompt, helpful service by experienced professionals. When that company consistently helps users to troubleshoot and solve computer problems, genuine customer satisfaction is achieved. The overall etiquette of a business is also a determining factor. Simply being honest, friendly and treating people with genuine respect go a long way with IT businesses. Usually, providing a means of contact on a business' website is a good start. Staying connected with customers, often through social media, is also considered good etiquette. Doing so is likely to establish a solid and loyal customer base which improves a business' chances of long term success. Complaint management is an additional aspect of keeping customers happy. In most cases, there is inevitably a percentage of customers who are unhappy with the product or service offered. Therefore, it's necessary to have some type of policy in place to handle those complaints. Typically, it's helpful to set up a designated page on the business' website that explains the service policy and whom to contact. This serves as an effective resource to guide customers so they can quickly find solutions. When customers feel like their concerns aren't being adequately addressed, it often results in customer dissatisfaction. If a business is large in scale, then it's often necessary to create departments that are solely responsible for dealing with complaints. The ability to turn these negatives into positives is how long term customers are acquired and retained. What Is the Connection between Quality Management and Customer Satisfaction? How Do I Plan a Customer Satisfaction Project? What Factors Affect Retail Customer Satisfaction? What Is the Connection between Employee Satisfaction and Customer Satisfaction?